Javier was born in Zacatecas, Mexico and was brought to the United States by his parents when he was 5 years old. He graduated from the University of Michigan College of Engineering with a Bachelor of Science in Engineering in Computer Science and a minor in Entrepreneurship in the spring of 2018. Javier is currently a DACA recipient and has been heavily involved in the fight for immigrant rights in the state of Michigan. His accomplishments include playing a key role in persuading the University of Michigan to revise its admissions policy. The revision helped undocumented students whom are Michigan residents, to qualify for in-state-tuition. In addition, Javier was a plaintiff in the case One Michigan vs Ruth Johnson lead by the ACLU of Michigan. This case was successful in gaining the right for Michigan DACA recipients to qualify for a driver’s license. 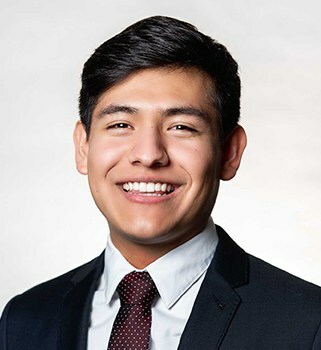 Most recently, Javier was featured in the documentary, Me, the “Other”, where he opens up about his struggles and triumphs of being a DACA recipient. Since joining the firm in June 2018, Javier has worked handling all immigration court matters, from bonds packets to call-ups for clients that are placed into removal proceedings.